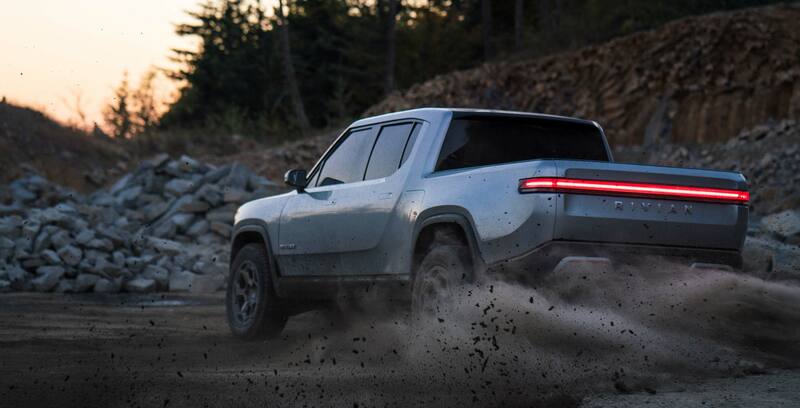 Rivian is a small U.S.-based company that has been quietly building two electric vehicles since 2009, and now it’s showing off the impressive the R1T all-electric pickup truck. There will be a lot of comparisons to Tesla with this new company, but Rivian still has a ways to go before it can get its trucks on the road. The truck’s base price is $69,000 USD (roughly $91,275 CAD) and it goes up to around $100,000 USD (roughly 132,283), according to The Verge. The truck starts at such a high price point since it’s packed with futuristic top of the line features. Each wheel has its own motor, so the truck has all-wheel drive. The four motors can push the vehicle to over 400 miles of range, at least if its packed with the 180kWh battery, reads The Verge’s report. The smaller batteries come in at 135 and 105kWh giving then 300 and 230 miles of range respectively. 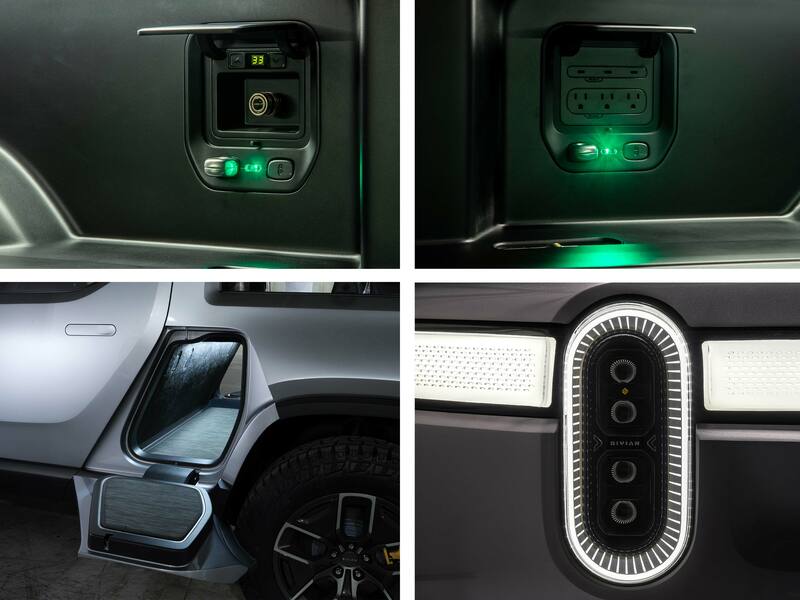 The truck has some electric vehicle specific tricks up its sleeve as well. The mid-tier model can hit 60 mph (about 96.5 km/h) in three seconds due to its 750 horsepower power output. Both of the other models are slightly slower, but still incredibly quick. Since there’s no engine in the front, there’s ample room for extra storage in the front trunk. There’s even a ‘gear tunnel’ to allow the space between the box of the truck and the cab to be used as storage as well. That’s not the end for the lockable storage since there’s another compartment underneath the floor of the box that has enough room for a spare tire. There’s a bank of 110-volt outlets in the bed of the truck that allows users to charge devices or use tools and a built-in air compressor for filling tires. The truck comes with LIDAR, radar and ultrasonic and ‘high-precision’ GPS to help with a highway auto drive system similar to Tesla’s Autopilot. All of these sensors will be used to add more self-driving features to the vehicle down the line. 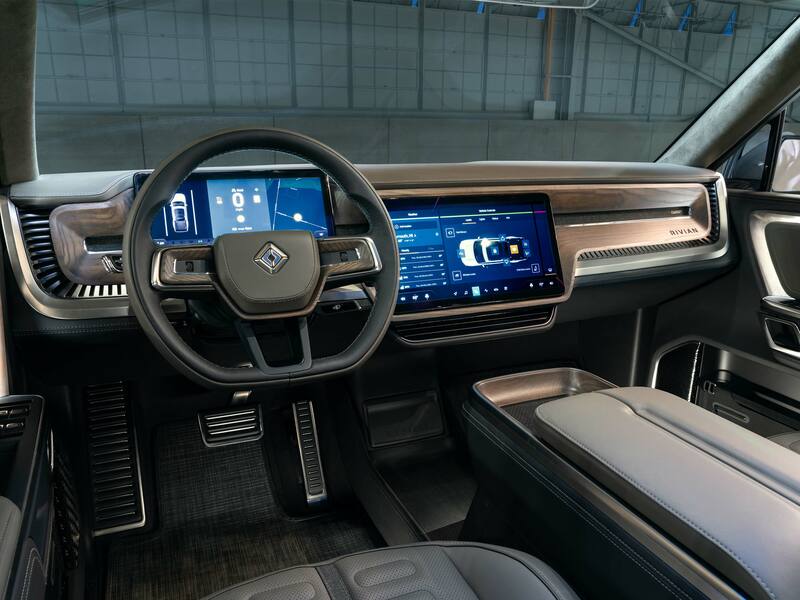 The interior of the truck looks reminiscent of a Tesla with large screens and touches of wood to make things feel premium. There are two massive displays that make up the instrument cluster and the infotainment system. The vehicle looks pretty nice and is roughly the same size as a Ford Ranger or Toyota Tacoma, according to The Verge. 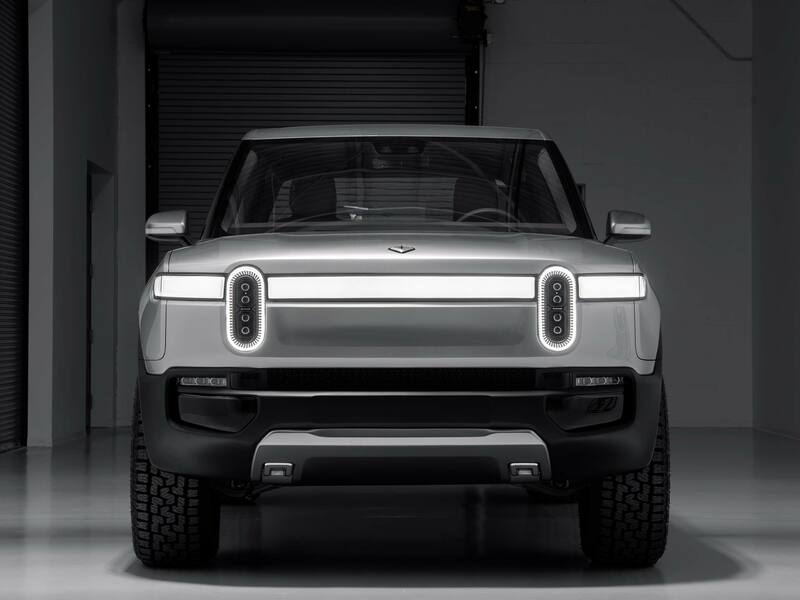 To me, it resembles like a mixture of a Toyota truck, with the front-end style of a 90’s Range Rover crossed with the futuristic Honda Urban EV. Overall, it’s an enticing all-electric truck, but according to The Verge, the real struggle will be to actually get it to market by 2020 and convince people to buy it. Especially if Tesla can get its pickup to market before then at a lower cost. 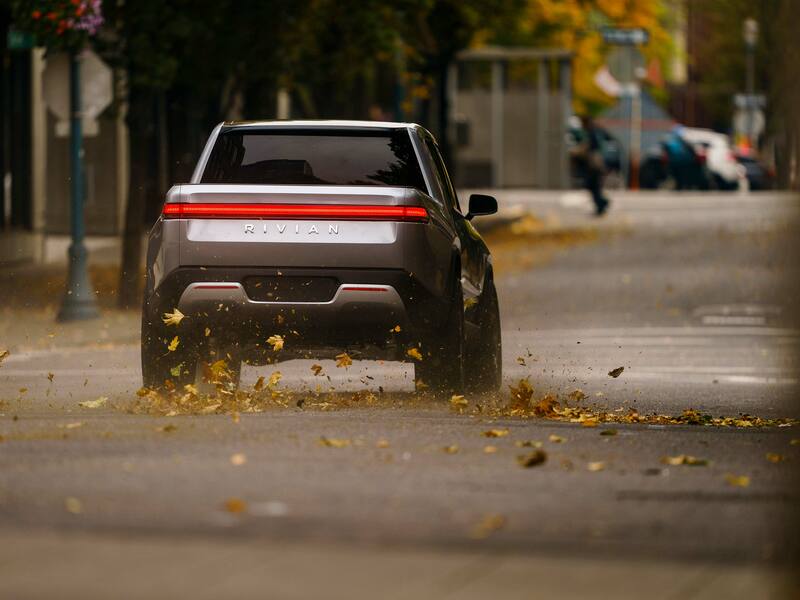 Either way, Rivian is an electric car company to keep an eye on, and it will be exciting to see what its SUV looks like as it’s announced later in the week.